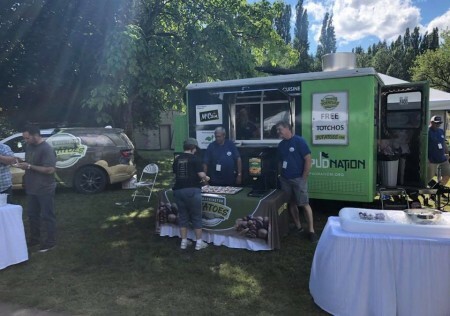 On Father’s Day weekend, WSPC continued our mission to share FREE Washington potatoes throughout our great state. 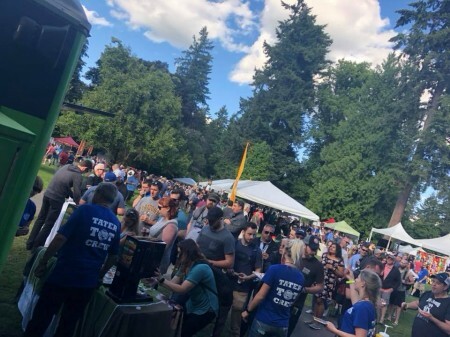 Early Friday morning, we loaded up and headed over to western Washington for the weekend where we attended the 13th Annual Brewers Fest in Redmond. We spent the entire weekend giving out free totchos (when tater tots meet nachos) to 25,000 attendees. Thanks to a generous donation from McCain Foods, we were able to serve 1,500 lbs. of tater tots to lively festival goers. The hungry beer drinkers loved our mouthwatering Washington tater tots topped with cheese, bacon, salsa, and sour cream! Many festival attendees were able to celebrate and enjoy Father’s Day weekend while also learning about potatoes. Potatoes are an affordable, natural, gluten-free, delicious product that are perfect for quick on-the-go meals or sit-down family dinners! Potatoes can be baked, fried, mashed, sautéed, roasted and so much more! Check out the recipes tab on our website for more inspiration in the kitchen!